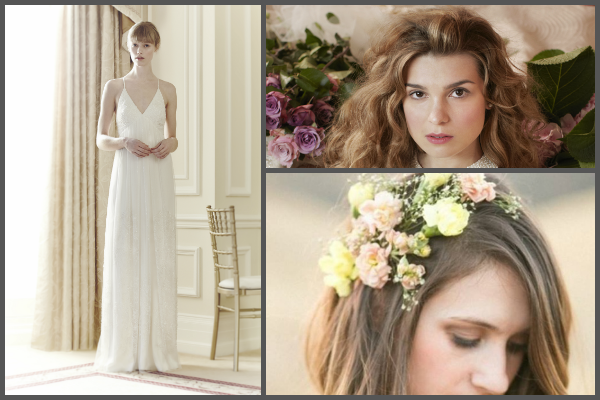 From chic chignons to hair raising beehives there’s a catalogue of bridal styles to choose from. But it isn’t just about choosing something you like or think looked nice on Kim Kardashian. The style you opt for will depend on a number of factors, such as the length of your hair, the way it has been cut and even your face shape. 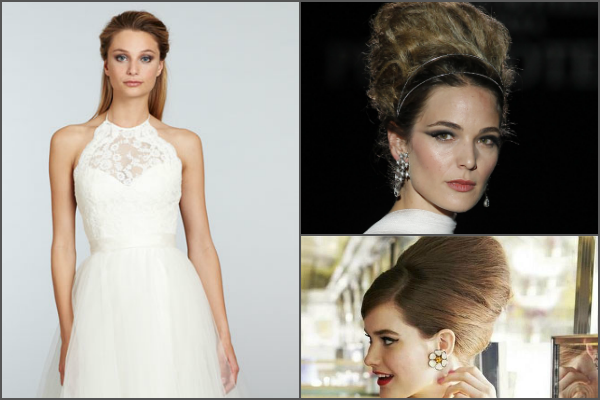 A floaty romantic wedding gown warrants a suitably girly hairstyle. 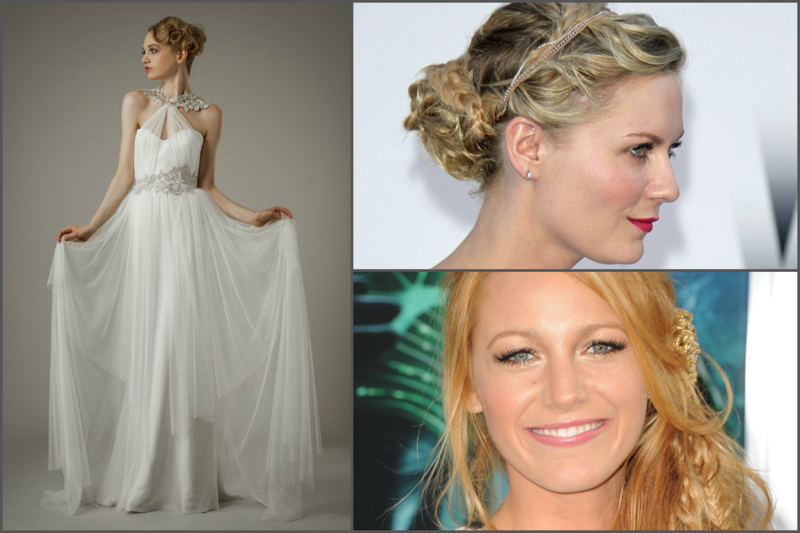 Try a loose braided bun or a messy fishtail side plait with plenty of texture to match the soft feel of your dress. 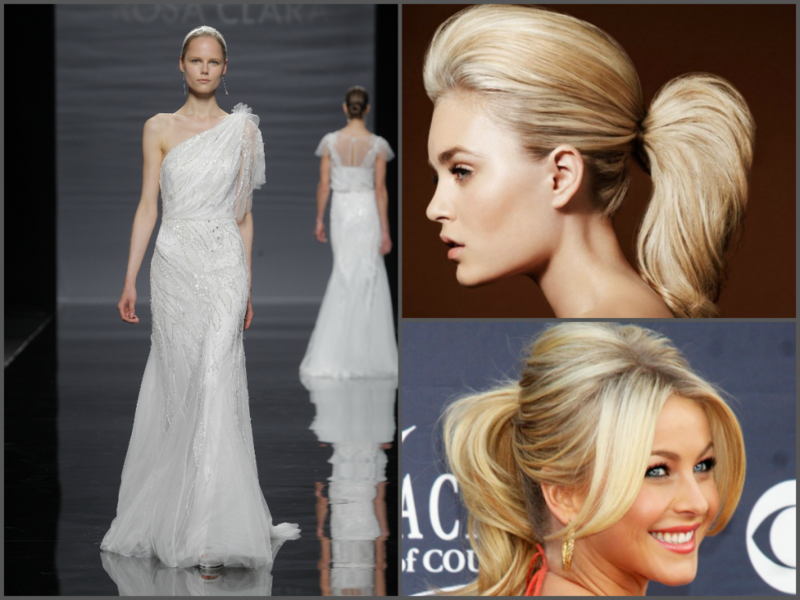 Wear your hair up with an asymetrical or one shouldered wedding gown to emphasize the detail. Keep your hair fuss-free and have it put up in a bouncy voluminous ponytail that’s simple and stylish. 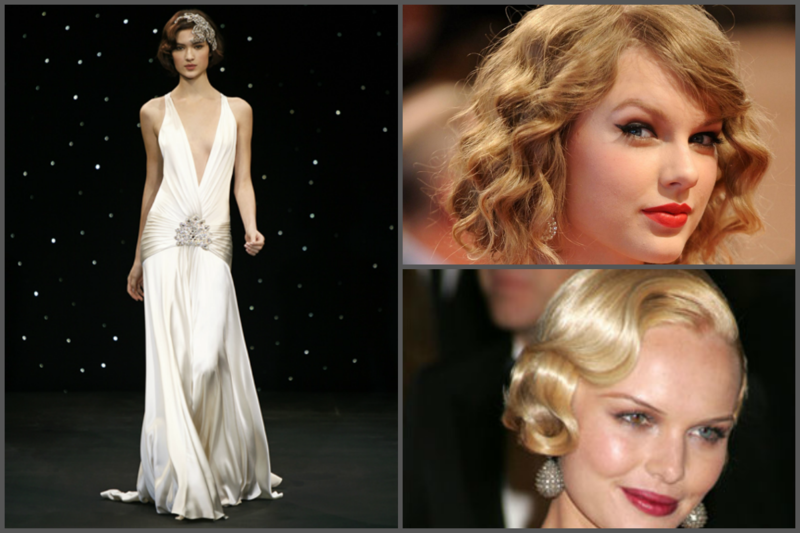 A vintage wedding dress will look incomplete with a modern hairstyle so try an authentic 1920s style ‘do, such as a short bob or Marcel finger waves. A big retro blow dry is the ideal style to set off a long sleeved wedding dress, especially one with a v-neckline that exposes a little cleavage. 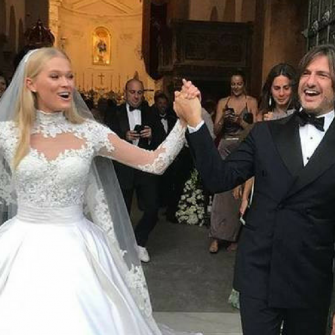 With a halterneck or nigh neck wedding gown you’ll want to keep your hair off your face as this will make you look out of proportion and seem as if you’re slightly suffocated. Instead, a gravity defying beehive will look slick and sophisticated with this style of wedding dress. 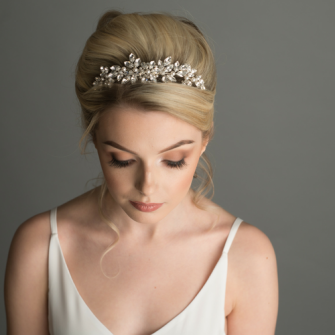 With a cap sleeved wedding gown, you’ll want to keep your hair off your face but not pulled back tightly, so a side chignon is the perfect casual updo. It puts a stylish spin on the classic bun and creates a flirty asymmetrical silhouette. Romantic tousled hair looks effortlessly elegant with a spaghetti strapped wedding dress that doesn’t have too much detail on the top half. 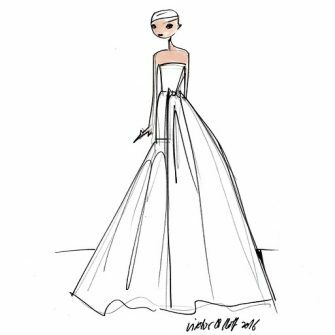 If you’re hair is pulled completely off your face, with a strapless wedding dress, all you’ll see is shoulders and neck. On the other hand, wearing your hair down will distract from the upper part of the dress. Therefore you should compromise with a half up half down do, that’s classically styled.